The history of windsurfing is short. Apparently, in 1967 a Californian called Hoyle Schwritzer fixed a sail on his surfboard so he could keep moving when there weren't any waves. Today, there are national and international championships, including several regularly held in Tarifa in Cádiz province like the Ballantine's Championship and the Toro Andaluz race which takes place during Semana Santa (Easter Week), which is when the windsurfing season really takes off. Tarifa is for the serious amateur for the simple reason that it is often too perilously windy for beginners. 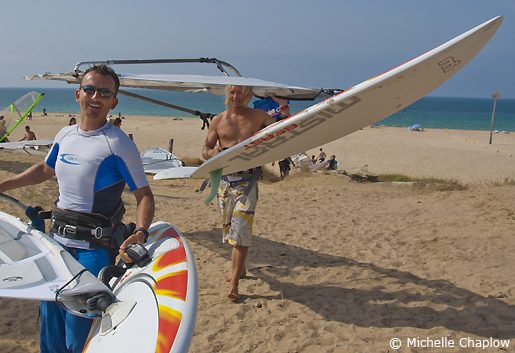 Eric Lubbe arrived from Germany in 1983 and opened the first fun-board school in Tarifa. Today, there is a choice of four surf schools. Fluent in five languages, Eric has seen some fundamental changes in the sport over the past fifteen years. 'The sails used to be very big with heavy boards,' he explains. 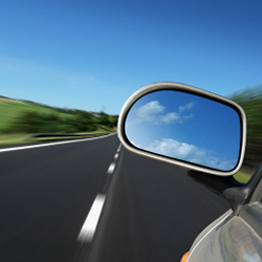 'Now they are smaller and lighter, using the same carbon technology as spaceships. The level of ability of the average windsurfer is also much higher. People can be seen sailing with 40 knot winds and doing amazing jumps.' He does point out, however, that if there is insufficient wind, the disadvantage of the short boards is that they tend to sink instead of riding the tide. At the height of the season, the atmosphere on the beach is highly competitive when enthusiasts race, speed-sail, wave sail and produce world champions such as the Dane, Björn Dunferbeck, who lives in the Canary Islands and has long been known as 'El Chico de Las Canarias'. For holidaymakers, the major attraction of windsurfing is the exhilarating fun - they say it's the most fun you can have with your shorts on and more people are interested in having fun than winning races. It is not necessary to be superbly fit to cope, just able-bodied. Similarly, the sport does not demand much physical strength, although this might depend on just how many times your sail flops into the sea and you need to haul it back up again. Overall, a good sense of balance is more important and apparently women are often better than men because of their natural balance. Apparently women are often better than men because of their natural balance. 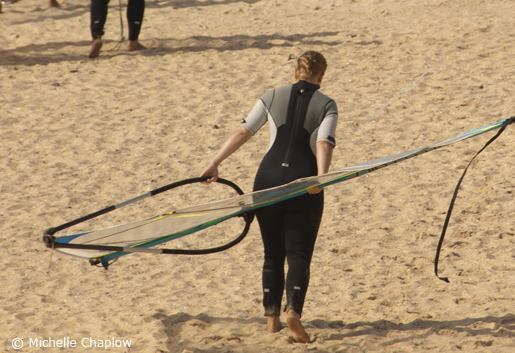 For the more tentative beginner, it is worth remembering that you do not have to travel to Tarifa to try the sport. On the contrary, you may be well advised to take a lesson or two on less windy Andalucían beaches such as Roquetas del Mar, just south of Almería, where you can build up your confidence gradually in a gentle breeze. One of the first lessons to learn is how to turn your board around. Probably the greatest humiliation for the windsurfing novice is to be seen stylishly sailing away from the shore into the sunset, only to discover that they cannot get back without the aid of a rescue boat. But most windsurfers agree that there is no serious danger. Avoid windsurfing in the evenings, and if the wind is too strong have someone keep an eye on you from a boat or the shoreline. Don't venture more than half a kilometre from the beach and wear a life jacket. Finally, even if you feel that the wind and surf is not for you, it is a marvellous spectator sport. Surfing is also possible on the Atlantic coast towards Cadiz, particularly in the beaches surrounding Conil.